A caller says his moms dog is having problems with itching, they've gone to the vet, and ruled out some things. The vet gave them anti-biotics and steroids. He wants to know what else they can do for the dog. Susun says ruling out fleas and things that touch the dog causing the itching is a good start. She suggests plaintain oil, which is safe for the dog if it licks it off. Susun and Monica Jean make a ragweed (ambrosia artemisifolia) tincture to help counter the effects of pollen allergies..
A caller on blogtalkradio asks about how to help a teenager treat acne. 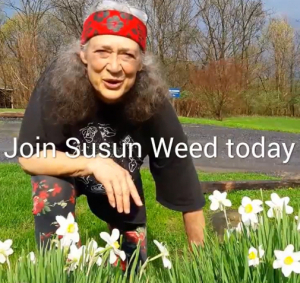 Susun talks about yarrow tincture, directly on the face and dandelion root. This audio is almost 3 minutes long.